What Was Ramsey Doing | Who Should not Play Together | Where Should Ozil Play? IT’S A LEARNING CURVE FOR EMERY AND CO.
It’s a learning curve. The team learning Emery’s philosophy. Emery learning the team and learning the premier league. I hope, though, that they are all fast learners. Playing City in our first match of the season was a blessing in disguise. It was throwing the Emery revolution into the deep end. All the fancy theorizing were blown off in 90 minutes of play and only hard facts remained. It has giving us clarity and brought us to the point. 1). The corner stone of Emery’s possession philosophy is playing out from the back. He is left with a tough choice. Sacrifice that tactics or sacrifice Peter Cech. The two cannot mix. It is unfair to ask a 36 year old hero, in the last year of his contract, to start learning new tricks. 2). Our back line can hold their own. This became more apparent when Lichsteiner replaced Maitland-Nikes. He kept the team emotional strong. Bellerin was in for the fight. Mustafi was a stalwart and Sokratis who never smiles took an intelligent yellow for the team. Their playing out from the back however lacked creativity but the keeper’s handicap as the conductor might have been responsible. 3). Guendouzi embodies a lot of what Emery wants. Enthusiasm, energy, movement and directness. But the young lad is prone to getting his pocket picked in delicate areas. He would learn quickly, which is what I cannot say of Xhaka’s slowness in same delicate areas. It looks to me that the two should not be played together. 4). Torreira was the surprise name missing in the starting line up. I suppose Emery is giving him time to acclimatize some more. What I find most exciting about him is his disciplined management of space as well as his unfettered passing skills. He should be the man in front of our defense and his presence there would cover for Guendouzi/Xhaka’s weak point. 5). I just couldn’t understand what Ramsey was doing. Was he the striker? After tons of running around, he had only 19 touches of the ball (WhoScored) before he was yanked off in the 54th minute. By comparison Guendouzi had 72 touches in 90 minutes. Ramsey completely abandoned the role of helping to build play. This contributed in no small measure to our poor attacking display. Emery has created five captains by which he has bought space for himself for sitting any captain on the bench or taking any off during play. 6). Our dreaded forward line could not click. They were probably not well supported. We couldn’t bring the ball out of the back creatively. Our midfield lack enough bodies. Mkhitaryan was lightweight. Ozil was not in his groove and Aubamayang is a player who needs to be fed. Things however improved when Lacazette came in. Was it him? Was it the absence of Ramsey? Or was it that when he came in Ozil dropped deeper and started helping to build play? These are some of the things Emery would be pondering over. Big thanks to City. 7). Generally their was greater energy, desire and movement in the team. The players have understood what is wanted of them and they can only get better at it. In fact it is now more of Emery getting to know his men who are best revealed in the cauldron of battle the like of which only teams like City can provide. Our luck then that it came early. 8). The Arsenal fans where fantastic with their support and understanding but trust that Emery knows that not withstanding he has to work at a feverish pace. It’s back to the drawing board, this time with no frills, just hard plain facts. We will get there and quickly too. 38 Responses to What Was Ramsey Doing | Who Should not Play Together | Where Should Ozil Play? A balanced and relatively positive post, PE. It was a mini-nightmare but I agree that some good will come from it. COYRRGs!! If anyone is interested in my mea culpa– in being wrong– and admitting that Granit Xhaka was NOT out-of-position on Sterling’s goal? Read all about it at the end of yesterday’s review of the match! JW I just read your last comment on yesterday’s post. Good stuff.. thanks for the detail. I trust you without having to see it again, but I still see Xhaka as a liability against the top pressing teams. He can still play a big role in many other games. I admire your mea culpa and admitting you may have been wrong. Since I’ve never been wrong about anything, I haven’t had that opportunity yet, but I hope to be as gracious in that unlikely event. No doubt that Rambo had a very poor game vs City, but I’m thinking his role in that game was to initiate the first press, which honestly A) was very poor pressing and B) had nobody to follow up that press. One thing i noticed was that our back four & our midfield/ attackers weren’t in sync during the pressing phase. The back four wouldn’t press alongside the other 6 outfield players and seemed pinned back by the mere presence of Aguero & Mahrez/ Sterling. I know they’re being cautious but surely you have to take risks to beat this City team. Only by playing as a team do we stand a chance. Throughout the whole game, the sense of insecurity could be seen throughout our general play. Overall though, our play showed purpose and that everyone knew their roles in the team. For the first 65 minutes, at least. I didn’t like how heads dropped and the team gave up after conceding the second goal. If Emery learn from last game.. then we will see a more promising team..
Auba had already speak out.. And if Emery is wise enough.. Then Lacazette, Auba and Mhiki must play together..
Don’t put Ozil in a hard position..
play him as CAM or bench him..
Leno must play.. Against Big Club is a good test for his performance.. He is ready.. Don’t worry.. All he need is the trust from Emery. And it will be good also for Cech.. Competition make him better.. Most of the comments here are of Ozil, Xhaka and Cech. Torreira somehow seems like a younger Cazorla, with good positioning and quick thinking. I agree with you PE, that Emery might be easing him in. But he is already showing what he can do. Shrillex … you are very right in the fact that Emery put Ramsey in the centre for the high pressing. The snag was that Ramsey failed to understand that joining the central midfield for the build up play was also part of his remit. If you see the average touch position of our players up to the 54th minute when Ramsey was substituted, he was the man furthest up. In other words he played like the 1st striker with Auba as the 2nd striker. Pressing is risky for defenders. I suppose the “high” in the high press is “high” up the pitch. Closing down has a slightly different objective to pressing and is more applicable to defenders. So I think. Chan ……. am with you all the way. njk, …… I agree with you. Torreira is a natural and tough too. He did not grow up playing in academy but in the dusty streets Uruguay. It’s time he is the no.1 name on our list. On the streets we get kicked, fractured all over and most importantly, we get to toughen ourselves up and eat everything we could. That will never be allowed in an academy. PE, I have no doubt that Torreira will be the number one name on the team sheet every week, for years. I predict now that we will give him a raise and extend him next summer. Hopefully with a huge release clause. On Ramsey, I disagree with almost everybody I’ve been reading. I thought he was playing so hard in the first half, defending, pressing, trying to do everything and trying to make something happen in attack. The forays forward didn’t come off, but neither did anyone else’s for Arsenal. I think Emery had the right idea, but I would’ve started Guendouzi, Torreira, and Leno. Jnyc …… in terms of effort will always be out there at the top.My point is that he invested so much on pressing at the expense of helping to build up play. 19 touches, 12 passes paints the picture. 12 passes? Very interesting stat. For me,. those are CF stats– yes? Which means to me as well, that AR was doing as instructed as the point man. Now, the attack was absolutely anemic– as borne out by this Whoscored heatmap when you look at individuals. jw …. Well if Ramsey was instructed to play as the point man I’d say he performed very well but I would then wonder why Emery set his team out in a 4:2:4 against City of all teams. Pregame I saw one network state a 4:3:3 — then Google match report 4:2:3:1 and Whoscored too with a 4:2:3:1. Where to me it looked like some kind of hybrid– with Ozil defending deep as a MF. More than either Mkhi or Ramsey. I made a promise to myself not say anything negative until after the West Ham game. However having watched the game on Sunday and the subsequent reports I feel I must break my promise. Many of the ex Arsenal players are coming out of the woodwork and throwing criticsm at the team and the manager. In the past I have defended some of these players because they truly were a arsenal Greats. 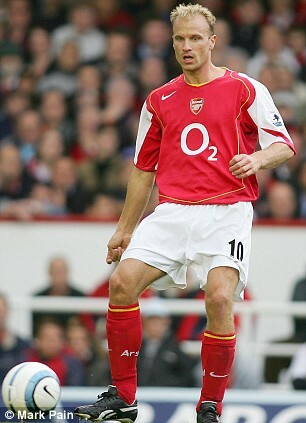 Names such as Tony Adams, who truly was an Arsenal Great, but couldnt manage his way out of a paper bag. Paul Merson a great player, but couldn’t manage himself. Crikey, Emery has only one prem game under his belt, and the squad is useless and overpaid. Whilst there may be elements of this that may be close to the truth, let’s just remember he didn’t approve most of the big salaries and had Arsene still been in charge at the weekend, l doubt the critiscm would have been much worse. So let’s at least give the guy s chance before he gets crucified. With one small proviso, if our Keper is going to play such an active role in playing the ball around, please let it be Leno. Retsub … am with you. There has never been an Arsenal loss that I took as well. I saw it positively that materials popped up to be used for a giant stride in our renewal journey. Comforting to hear that we ran the most (118 km) in Wk 1 of the epl. Damn right, Retsub. The game was painful but it was just Emery’ s first one and it was straightaway against the only team that beat us at home deservedly last season. Perspective and support are key now. It is a long journey and we have now started (with a downpour). COYRRGs UNAIted! Great comment Retsub, it was the opinions of Allardyce that gave me the biggest laugh – not that I read them tbh – but I gather it was something along the lines of Arsenal going long to bypass the Man City press or some rubbish like that. Fat Sam is a busted flush. Tony Adams remain a legend to me as a player and captain, but he carries a sense, I believe, of bitterness at not being invited to join the coaching staff at Arsenal in some capacity, which I find sad as he did a good job at Portsmouth as a No.2. Merson is an embarrassment to himself and Arsenal, but he needs to earn a living I guess and just does what he’s told by his bosses at Sky and their remit is to create a sense of negativity surrounding Arsenal. Just a thought, I wonder if Emery took Leno out of the firing line to protect him because he suspected that we might struggle initially with his new methods? I know that people will point to Guendouzi, but goalkeeper is a position out on its own and once a goalkeeper gets a reputation it’s damned hard to shake it off. Nice read, PE. Hard to disagree with any of your points. My guess is, Emery tried to spare Leno of a drubbing against City. If he had shipped five or six in his first game, he would have had his confidence broken immediately. Emery did make a major mistake – based on the match fitness though – by benching Torreira. We got a superb midfielder in the Uruguayan and Emery didn’t want to lose him by rushing him back. However, when opponents make a quick transition and pass the ball so freely, you need a player like LT11 to break their attacks and shield the back four. Sterling’s goal was a direct consequence of not having a player like Torreira in the central position. MG29 was decent yet visibly raw. Lichtsteiner was dirty SOB our defence has needed for years. Kev …… I agree. It’s difficult to imagine all that managers go through before a decision; field and dressing room considerations have to be balanced, some glances in the direction of the hard to please fans, the scrutiny from the club bosses amongst other things. Anyway that’s part of their job – to navigate through such seas. Am optimistic Emery would be in calm waters very quickly. Admir …. plausible that he was sparing Leno today for tomorrow. Another thing is that he might have just taken a rule of the thumb decision not to start more than two new signings at the same time ie not to alter the chemistry of the old team too drastically. We ended the match with four of them and Emery must have made some notes. PE, and he would have the team look at the game and say about the things that needed to be changed infinity times for the whole week. With the exception of Stewart Robson I am a huge fan of all the old favourites, particularly Tony Adams and you are of course correct they have a living to earn. The pressure this guy is under just seems a little unfair to me. Robson is so well balanced he has a chip on both shoulders. You may well be right about protecting Leno. But my heart or more importantly my sphinctor couldn’t stand another 90minutes of. Cech trying to dribble. Didn’t he set up Cesc last time we visited the Bridge. I am not one to carry a grudge, but if Héctor could arrange to accidentally break Alonso,s leg it would make me feel a lot better. One observation I have is that Sokratis turned to his side when Bernard shot thus allowing the ball to go past him and distract Cech. Say what you like about Tony Adams, but he would not have done that and stood his ground to try to block the ball. Austin City Council has voted to move ahead with a plan for a new, privately funded stadium on city land sought by the owner of Major League Soccer’s Columbus Crew for a move to Texas. Precourt bought the Crew in 2013, and a move would uproot a bedrock MLS franchise. The 7-4 council vote on Wednesday allows city staff to “negotiate and execute” a stadium plan with Precourt Sports Ventures. It was seen as the crucial vote in moving the team. Ohio officials have sued to try to block the move. Crew fan groups have also rallied in hopes of keeping their team in Ohio. Precourt Sports Ventures says it wants to move the team at the end of the 2018 season due to low attendances and a lack of sponsorship opportunities in Columbus. Why doesn’t Austin just form its own MLS team instead of stealing somebody else’s? MLS has pretty much saturated the market in the US. Don’t need ‘more teams’ but ‘more profitable teams’. So, it’s not about Austin, but the owners. Austin is way better than Columbus OH. Basically, home to Ohio State U. If you had ever spent time in Austin, TX? It is one of the coolest cities on many fronts. Began as a college town (U of Texas). Then became a creative hotbed for musicians and live music (Annual SxSW Festival rocks; check it out online sometime). And then added high-tech to its’ portfolio in the 2000s (Dell computers was the cornerstone 20 years ago). A bit difficult to get around because of the hilly topography and exploding population– but great fun, and a beautiful place to live and visit. Should have moved there when younger, actually. Passed on a couple of opportunities. Thanks JW, Austin sounds a bit like Orpington.